[SEEN AROUND TOWN] How do you spend the last weekend before the start of the U.S. national team's three-and-a-half week camp? Kyle Beckerman got married to longtime girlfriend Kate Pappas Saturday at the Holy Trinity Cathedral in downtown Salt Lake City. They met at Rio Tinto Stadium in 2009 when Beckerman was doing a video shoot for the United Way of Salt Lake, and Pappas was working the shoot, holding cue cards for him. Many of Beckerman's teammates, dating back to his U-17 national team days, as well as RSL's current and former head coaches, Jeff Cassar and Jason Kreis, attended what Pappas dubbed a “big fat Greek wedding." 'IN BOB WE TRUST.' 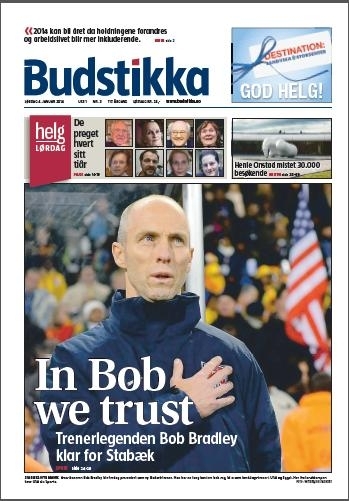 Bob Bradley's signing as the head coach of Stabaek was big news in Norway. He made the front page of the daily Budstikka on Saturday. 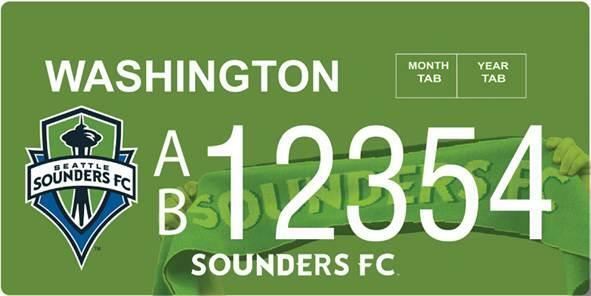 SOUNDERS FANS GET PLATES. Thursday marked the first day Seattle Sounders and Seahawks fans could purchase customized license plates with team logos and flags. In Tacoma, fans were lined up outside the Pierce County Auditor's Office to get plates with low numbers when the offices opened early at 7 a.m. The first day's tally: 1,810 Seahawks plates and 148 Sounders plates sold, according to the Department of Licensing. ORANGE BOWL FEVER. Even in England, where he is rehabbing with Bolton Wanderers, Stuart Holden could not forget about his old college ties. Holden, who attended Clemson before turning pro, rooted for the Tigers, while girlfriend Karalynn West was supporting her hometown Buckeyes from Ohio State when the teams clashed in the Orange Bowl. Holden did the celebrating as Clemson pulled out a 40-35 victory. COBI IN ROSE PARADE. Yes, that was Cobi Jones you saw in the 125th Rose Parade on New Year's Day. AYSO had a float in partnership with the city of Torrance, where the youth soccer organization was founded, to mark the kickoff of its 50th anniversary.